Insight Counseling Centers invites you to a training on Lectio Intima (Intimate Reading) and Passionate Partnership. A light breakfast will be provided at 8:30 am, program to start at 9 am. Purchase tickets ahead of time online by credit card or at the door by cash or check made out to Insight Counseling Centers. 2.5 CEUs available for Licensed Clinical Pastoral Therapists, approved by the Tennessee Association of Pastoral Therapists. Lectio Intima (Intimate Reading) weaves together the riches of Christian tradition, Jewish mysticism, and relationship studies to offer new hope for committed couples. Participants will explore monastic meditation, looking beyond asceticism, to find applications for powerful mindfulness and conscious awakening. For clinicians and their clients who seek deeper self-knowledge, communion with divine love, and intimacy within their partnerships, this approach offers a non-judgmental space for discovery. Dr. David Thornton is an integrative therapist, linguist, and musician. 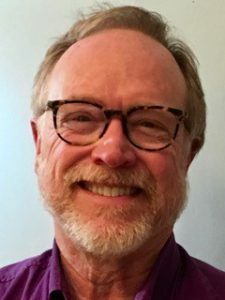 With a Doctor of Ministry and master’s degrees in theology, psychology, and literature, David is unusually attentive to the divine healing narrative. His doctoral project, Lectio Divina, the Song of Songs, and Marital Intimacy, explores today’s presentation in great depth. He sees clients in Brentwood and Berry Hill and is available for group events. He has three (almost) adult children, lives in Nashville, and is in a committed relationship.